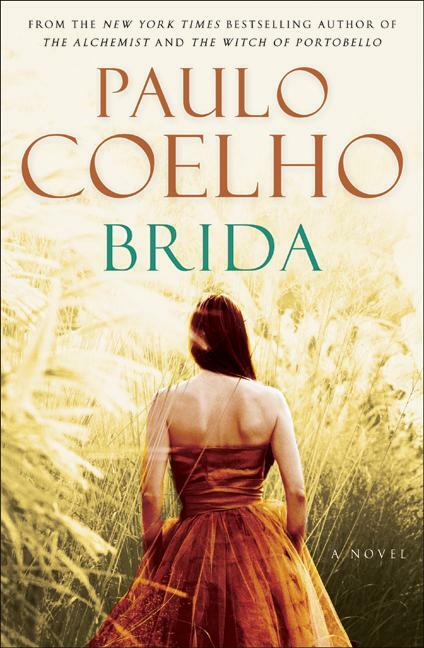 Brida by Paulo Coelho is written in 1990. The main character and the tile are the same.It is about a girl who wants to learn magic. So she approaches the Magus in the forest who was abandoned by most people for seducing a girl once. The moment he saw Brida he realises that she is his Soul mate. He teaches Brida to overcome her fear and exposes her with two tradition to learn magic. They are "Tradition of Moon" and " Tradition of Sun ". He also gets to know that she possess some kind of gift and tells her she was destined to learn magic through "Tradition of Moon". Brida then finds Wicca who is a tarot reader from a book seller. Wicca is the one who teaches magic through "Tradition of Sun". Tradition of Moon is learning magic from his soul mate i.e. the male transfers all the knowledge to her and together they get transformed as magician. Something like that. Tradition of Sun is getting taught of magic with the help of a teacher. Brida takes lesson from both of them and eventually realises the Magus to be her soul mate after seeing the point of light on his left shoulder. This is how one can know their Soul mate. Earlier she thought her boyfriend to be her soul mate. At last she overcomes her fear and goes in search of her gift and finally becomes a witch. Paulo has taught the life lessons in an unusual way. He has taken magic, witchcraft as a medium. The book is full of traditions and rituals. The beginning of the book plus the end were very boring and I felt those parts to be vague. I loved the way Wicca inculcated the lessons in Brida. The three steps or tests Brida qualifies to get initiated as witch is really a good part of the book. The Magus character is warm and felt Brida's boyfriend lacked depth. Few of the quotes in the books were very good. They are..
rituals. The Magus refers to Magician. So I rate this book..